the end may arrive before you are ready to get there. " 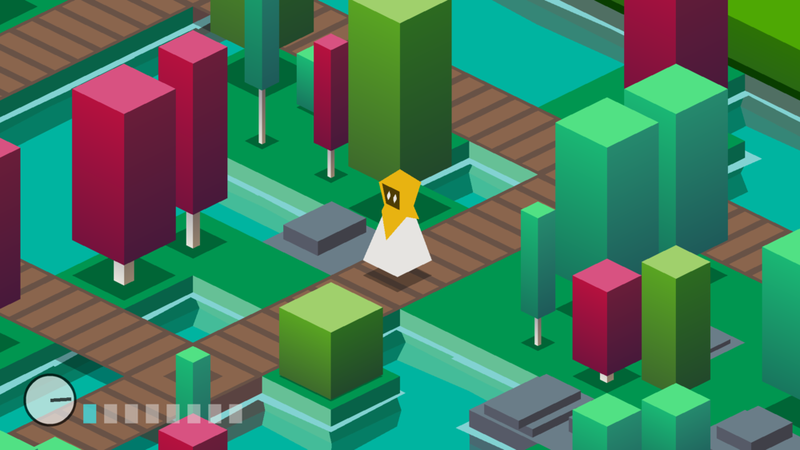 Explore a randomly-generated island garden, filled with ambiance and tranquility. Discover forgotten ruins and mysterious totems, which offer reflections on the hectic nature of everyday life. Enjoy your time in the garden, and reflect on your choices before night falls. I designed this experimental video game for my undergraduate art capstone project in 2016. All graphics, programming, music, and audio were created over the course of three months. 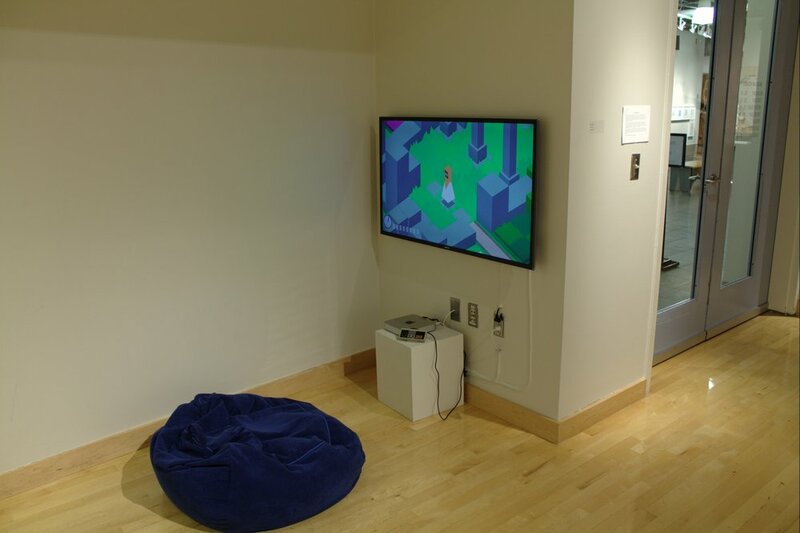 At the end of the semester, the game was on exhibition in the campus art galleries. The game's arcade-influenced short playtime is juxtaposed by environmental ambiance and gentle music, toying with the relationship between video games and the fine arts. I documented the process of making this game on my developer blog. Available free, for Windows 7 and newer. We each live in our own garden. They are places of wonder and mystery, filled with delights around each corner. Some areas are alive and flourishing; others are abandoned and decayed; some lay empty and lonely. But each is beautiful in its own way, precious because it is our own. Yet, we often race through life and forget about our garden. Our focus is the destination, and we look for the fastest way there, drowning the garden in an ocean of complexity. The subtle details around us become saturated with information. I lost my garden years ago. It took me a long time to realize it was gone. But over the past few years, piece by piece, I am rediscovering it. I invite you to do the same. Press start to explore your garden.